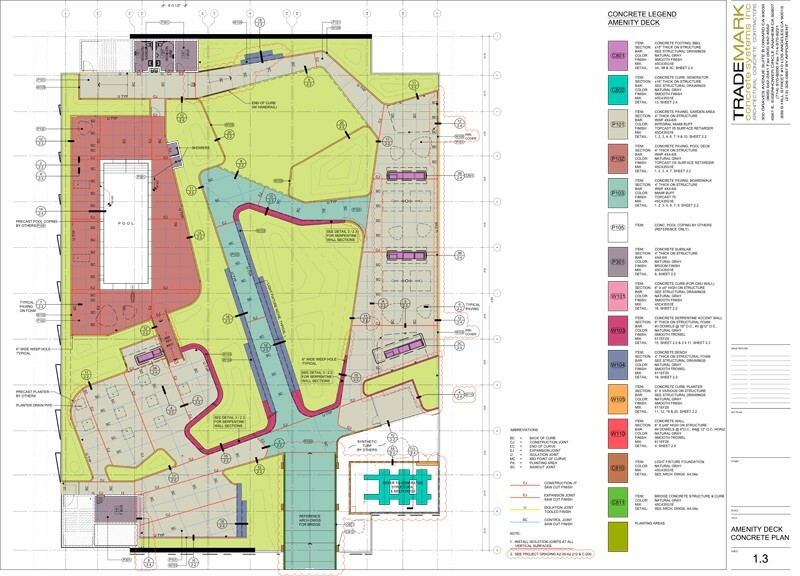 Although not a regular service, grading can be provided where existing site conditions are different than planned. Reworking this subject where needed can help facilitate construction planning and expedite schedule. Our plans are developed to identify project scope easily and are overlaid with information unique to the concrete trade. Trade notes, sequencing or possible alterations are added in an approach to communicate efficiently with our field crews and with designers during the approval process. 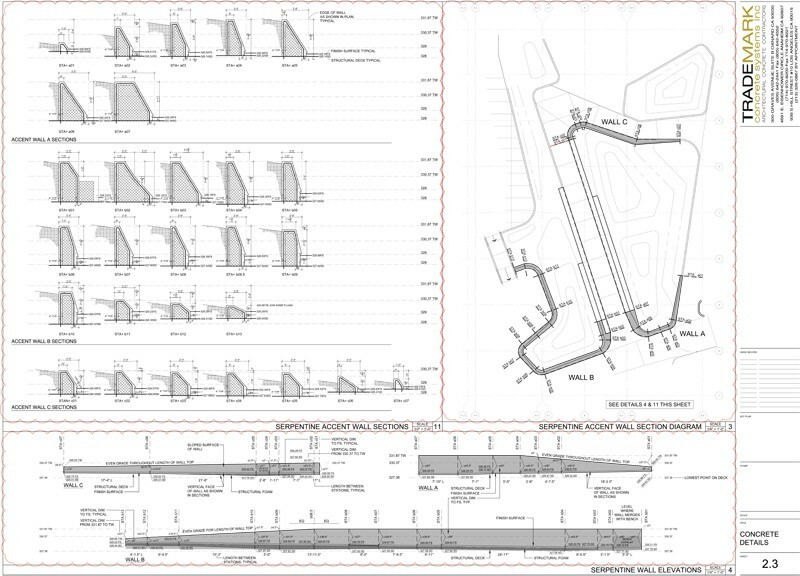 A traditional layout plan is part of our shop drawing package to supplement surveying services and as a method of checks against electronic positioning systems or site conditions. 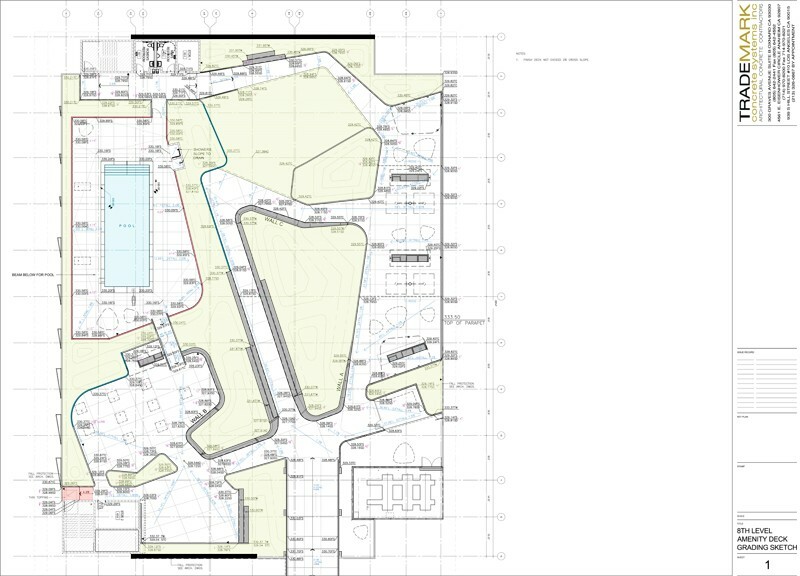 Clear detail drawings reference the multiple disciplines involved in installing a specific designed amenity. 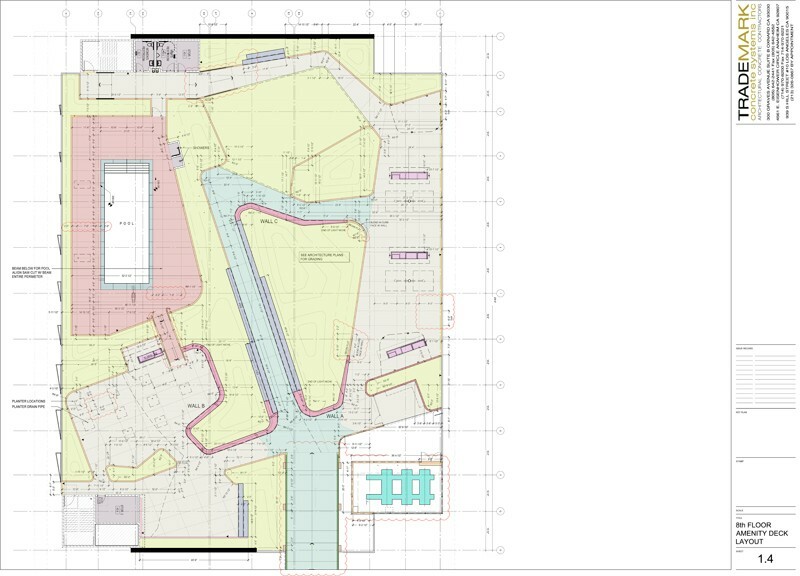 They often include an overlay of additional measurements, trade conventions, or suggested revisions necessary to a successful installation. Other details are developed to communicate with our trade partners in mind. These details provide additional dimensions and field observations required to fabricate complimentary materials precisely and accurately. 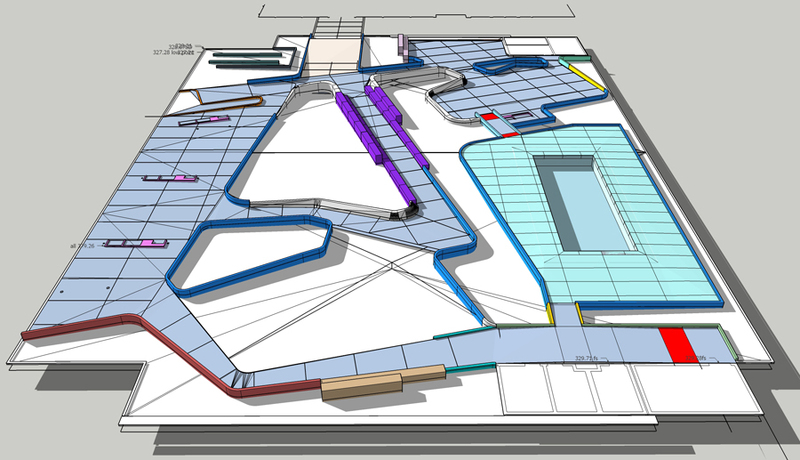 Projects complicated by special elements are often developed in our plans in 3 dimensions. 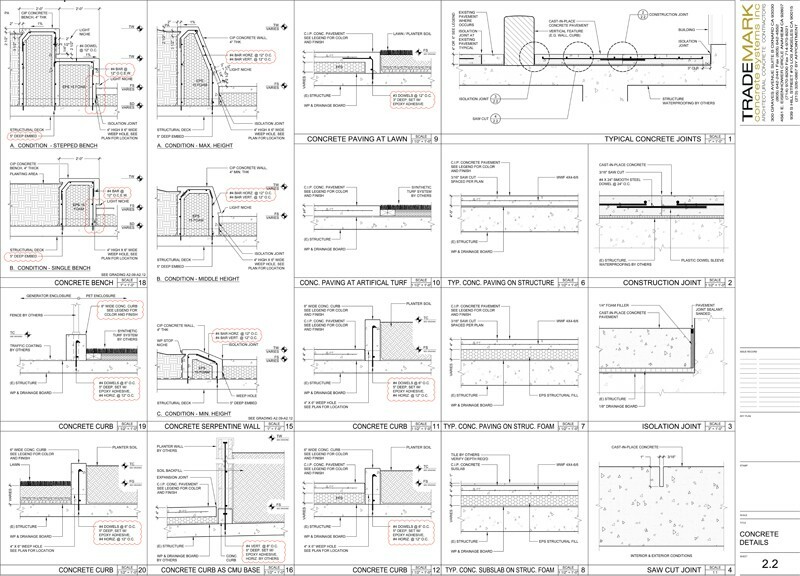 These illustrations help us strategize our construction approach or communicate fabrication issues with the client or designer.